The first grading 2019 was held at Rockdale Dojang. Congratulation to all successful students. Watch this space to find more about our representatives to the ITF most prestigious world championships. Championship info pack ready for download here. 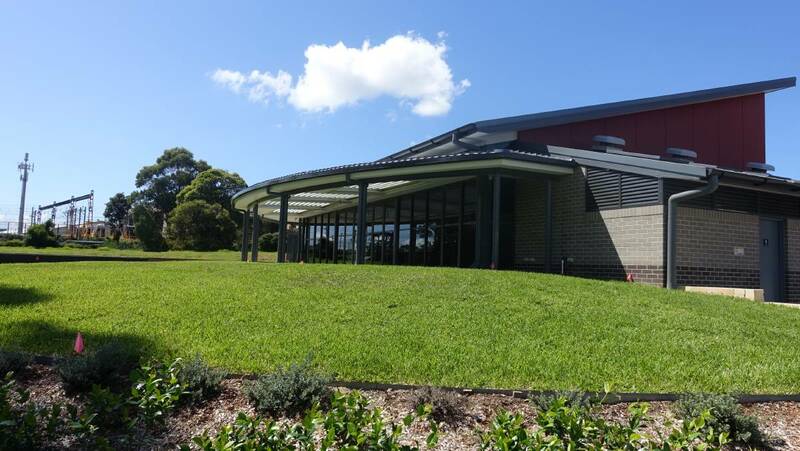 Be the pioneer and come to join us at our new dojang at Mortdale Community Centre 2B Boundary Road Mortdale. First training starts on Friday 1st February at 6:30pm. Join this dojang and get a huge 50% discount on your sparring gear. Offer to new enrollments only. Offer ends 29th March 2019. 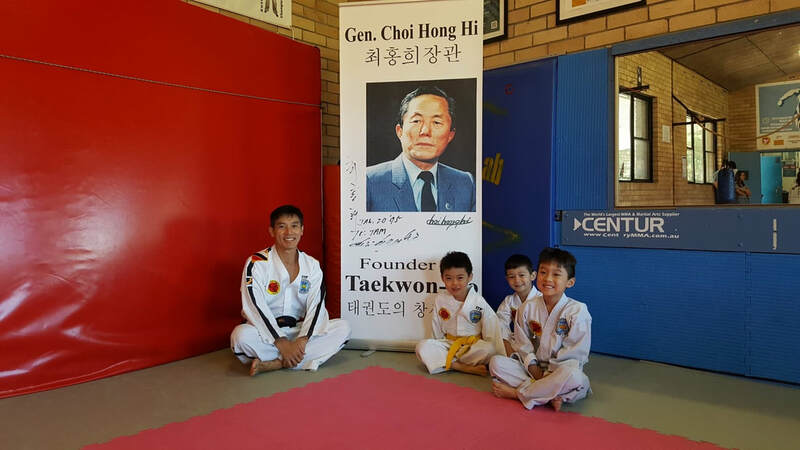 Rockdale dojang offers beginner TaekwonKids class for white to yellow-tip holder on Tuesday from 5:00pm to 5:45pm. Join this class to accelerate your progress to Yellow belt. Thank you from Master Tam and and Sabum Mayumi. "If it is the one day that all TTM jejas look forward to getting together, besides grading, tournament, picnic, BBQ, outdoor training, beach & sand dune jogging, kayaking or wedding, it is the annual luncheon and awards presentation that excites everyone. This year Tam Taekwon-Do had its celebration at Great Seafood Restaurant in Beverly Hills NSW. Thank you to Isaac Tsui for organising the venue just for our use; the restaurant generously closed to other customers for TTM celebration. We are so thankful for each of you who have traveled from near and far to celebrate with us and made this event possible. The luncheon was so well received and all award recipients were so happy while some were taken by surprise when their names were called. The celebration would not be the same without your presence. We are so blessed to have you all as our students. We cannot wait to see you with a lot more of dojangmates together next year. Once again thank you to everyone for your gifts. Wishing you and your family a Merry Christmas, Happy New Year and happy holidays." Dmitri Stepanov, Mayumi Tam, Charlie Lay and Joe Lee. Please visit our facebook www.facebook.com/tamtaekwondomudokwan to view photos from the celebration and all award recipients. The last grading for 2018 was held at Rockdale Dojang. 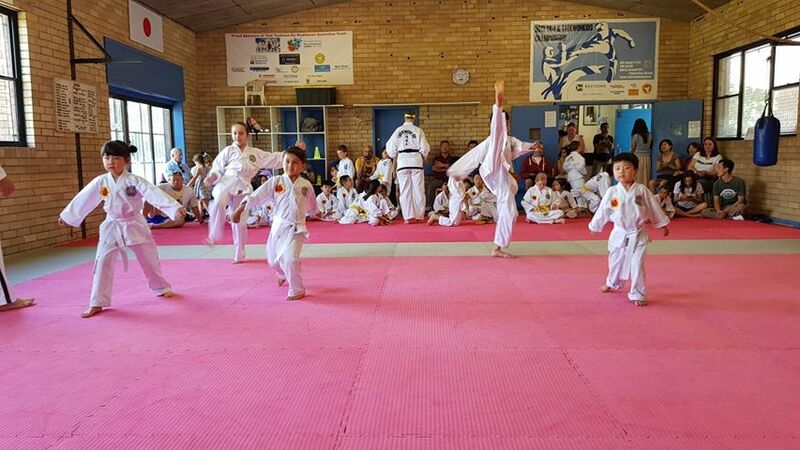 The standard of students have certainly improved, thanks to the great effort of the very dedicated instructors as well as the black belts that volunteered to assist the students in preparation for the test. Congratulations to all successful students. 100 years on and we remember the courageous men and women who fought for what we have today. Lest We Forget. 29th September 12.30pm is the day our TTM jejanims will remember forever. This is the day they have been aiming, waiting and trained so hard for; their black belt grading. A lot of hours have been put in and the sacrifices made to gain every happy moment and successful test. 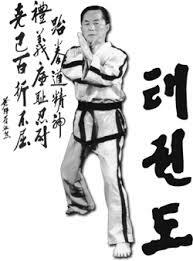 All Tam Taekwon-Do jejas know how serious TTM grading is but this never deter them from putting more effort and to encourage their dojangmates to progress to the next level. It is through this camaraderie, our jejas are known to all martial artist that Tam Taekwon-Do Mudokwan is the best place to train together. All candidates are fully tested in every aspect of their skill required to pass their grading. We have never ever heard of a single jeja who said he or she will get graded elsewhere once they have been graded here. This tell how happy they are with their training and grading with us. Photos by Priscilla Lee. Thank you. Congratulations to everyone who passed the grading with excellent result. As the saying goes, "hard work pays off". This is what our competitors have been doing, staying focused and trained hard for the biggest ITF event in the world, the ITF World Championship. This year the championship was held in the beautiful city Minsk, the capital of Belarus. This is not the first time a huge event like this is held here. Each time the event gets bigger and better. Hungry for a podium finish and to test their skills against the world bests, our competitors sacrificed many hours and weekends training at home, in the park and dojangs. Not only physical training and conditioning were given by the instructors but mental and psychological sessions were importantly incorporated into getting our competitors in top form. It seems like Australia has the lesser advantage than it's northern hemisphere competitors. Many a time Australian competitors leaving the country from the cold season to compete come down with cold or flu. This time round three of our four competitors have cold, injured knees and hips. Albeit the illness and injuries, our competitors soldiered on with positive mind and confidence to the very welcoming host of the championship. Pattern - taking on Kyrgyztan and loosing to Argentina. Sparring - lost to Argentina, beating Canada but lost to Greece to secure a place in the next round. Special Technique - Unluckily Joe could not reach the target due to his hamstring injury. Pattern - Came out strongly and sharp but lost to Canada. Dmitri have an extra movement which caused him his next round. Sparring - Dmitri was all fired up to face Mongolia and Japan with victory. Leading in points against Ukraine for the next 1st or 2nd place match up until the last 22 seconds when his Ukrainian opponent came back on top. Dmitri had to settled for a bronze medal which is an excellent result having to compete with his seasoned competitors in his first international championship. Power - unable to match the Goliaths from Mongolia, Russian and other strong countries smashing many pieces of solid boards. We shall train harder to come back to this event. Pattern - was put in the same bracket on the fight chart against the many time World and European champion Linn Johansen. She took this as a good match against the best in the world. It is an honor bowing out to the veteran female pattern queen. Sparring - Mayumi being the smallest in the championship had her coach's heart trembling. Winning over Scotland added more confidence to her pitt bull heart. Coming out against the championship fighter from Argentina has nothing to loose but everything to gain. Next fight in the first ever ITF World Championship Round Robin matches which added more experience the competitors, Mayumi's luck was even better; fighting the World and European veteran champion as well as WTF seasoned fighter from Kazakhstan definitely see Mayumi coming back for more ITFWCs. Receiving her bronze medal for 5th Dan pattern was an honor and when the words "Mayumi Tam from Australia" followed by the "The Highest Technical Award" was announced we were all stunned but quickly turned into happy cheering with the Aussie flags flying up high. This is Mayumi's greatest achievement in her Taekwon-Do career and looking forward to more and other avenue to promote the art of Taekwon-Do. Malik is one tough nail that no one would like to mess with when his hip injury recovers. He deserves a gold medal for his courage fighting with pain with the top fighters from Russia, Ukraine and Hellas in the round robin matches. Not many people get this golden opportunity to compete with the best in a row. For certain, Malik takes this as treasured experience to pave his way to his next world championship. We are so proud that Overall Country Ranking Australia placed 12th place out of 60 countries. Juniors ranked 22nd and Veteran ranked 7th. The world has been looking up to Australia in the Veteran since the first Veteran ITF World Championship where coach and Master Tam Fook Chee won 3 gold, 1 silver and Overall World Champion. Australia no doubt one day be on top of the rank for this division. Thank you to coach from TTM, Master Tam Fook Chee, Team Manager Cherryl Fitzgerald-Holmes and sponsors - Lyn Luong of Minchinbury Lighting and Dr. Michael Zhu. Full result for the entire team is can be viewed on All Australia ITF Facebook or see here for full championship result.